A truly lovely short story collection from the pen of C.L. Lopez, with three guest stories from Tom Benson, both authors from our very own IASD stable of indie authors, writers, and bloggers. I only discovered this writer by way of reading one of her short stories in Tom Benson’s own short story collections and was sufficiently impressed to seek out others by her. The moral of the story – get your writing featured in as many places as possible! Amazon blurb: A collection of short stories of various genre, including suspense, thriller, sci-fi, mysteries, and paranormal. These are stories about the resilience of humanity. They are stories of people and their strengths and weaknesses. Stories of life. A varied short story collection where not a single one even slightly disappoints! I first came across this author when I read one of her short stories as a ‘guest’ story/author in another short story collection, and was impressed enough to see if she had any collections of her own published, hence my finding this one. This super collection of seven short stories, along with three bonus ones from guest author, Tom Benson, were a truly unexpected delight to read, exceeding all expectations. If I had to pick out one single story as my favourite it would have to be ‘Moving On’ for its combination of not only its feel-good factor but also a clever and ‘poetic justice’ type ending, and even though the general direction of the story was clear early on, it was still a refreshing twist. And of Tom Benson’s guest stories here, I particularly liked ‘Bewitched,’ a love story but again with a bit of twist and moral dilemma about it, and the one of the three here that best complemented the other stories in this collection. Both C.L. Lopez and Tom Benson write across several different genres but in this particular collection they have stuck to writing stories with poignancy and dramatic impact rather than relying on clever endings and/or ‘twist in the tail’ type formats in most cases (though not all). Any complaints about this book? Only that I was disappointed when I ran out of further stories to read at the end of it so hopefully C.L. Lopez is working on further stories for the future! A very easy and hugely deserved five stars for this one, not a rating I usually find easy for short stories given that it’s rare to read a short story collection where not a single one even slightly disappoints! 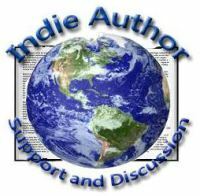 Posted on March 13, 2018, in Book Review, Book Reviews, Short Stories and tagged Amazon, anthology, crime, multi-genre, Mystery, romance, Sci-Fi, short stories. Bookmark the permalink. 2 Comments. My pleasure. It’s a thoroughly enjoyable collection. It’s always a bit of a risk with mixed genres and adding guest authors but it was a great mix of well written and enjoyable stories.